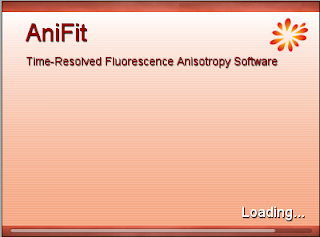 AniFit updated to version 1.3 - The fluorescence laboratory. The fluorescence anisotropy decay analysis software, AniFit, has been upgraded to version 1.3. This version introduces a lot of changes "behind the scene" while the main features of the GUI are the same. The reason for most of the changes is that I am working towards a more general and transparent code of the software on the site that will share the same principles and functions throughout different programs. This should make it easier in the future for people interested in modifying the software for their own needs, as well as for me to update the software and implement new functionalities. There is a new "Developers menu" in the Help menu of the MATLAB version for people interested in editing the program. This can be used to get insight into GUI, data and settings structures etc.. I will post more information on this topic in the future. Plot r(t) only starting from "time zero". Thanks to Mélina Gilbert and Damir Dzebo, Chalmers University, for the suggestion. Time zero is currently defined as the peak of the IRF minus 1 channel. Plot r(t) as either dotted or full-drawn line (default is dotted). Modify/change the default program settings. Export data and fits to MATLAB workspace (only MATLAB version). Direct link to the Bug report from the Help menu. Checks for updates on start-up, or at will. Faster calculation of chi-square surfaces. Several minor bug fixes and code improvements in general. Fixed bug when trying to fit decay times close to 0 ns. Fixed bug when running chi-square surfaces with scatter included. The GUI icon has been changed.